Psalm 91:11 For He will give his angels charge of you to guard you in all your ways. Poet's Notes: People have instinct, intellect and intuition. But is that all that keeps us safe? This poem comes from my musings on how angels might guard me in all my ways. 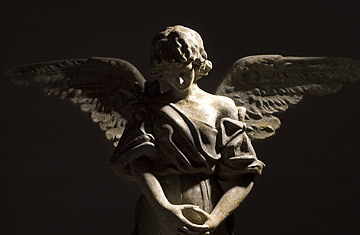 Perhaps of interest, while the Bible mentions angels many times, it does not specifically mention "guardian angels."